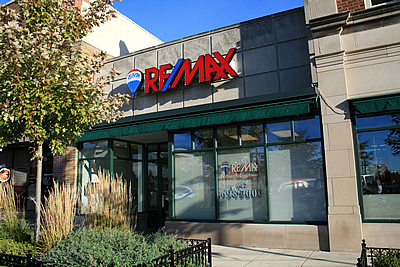 Serving the home buying and selling needs of Park Ridge, Des Plaines, Niles, Mt. Prospect, NW Chicago, Norridge, Harwood Heights and Rosemont in Illinois. As your trusted professional real estate agents, we will help you find the best home in your area within your price range. Together we will sell your home at the highest price we're able to in the current market, and as quickly as possible. As a first-time buyer, I pretty much needed somebody who would basically hold my hand throughout the process. I told her what I was interested in, area and home wise, and she was able to find me many properties. I apparently have had some of the most frustrating and out-of-the-ordinary things happen to me during the closing process, but she was there to text, call, or email me with the answers to any question I had, even when an overly-difficult lender couldn't be contacted for days. I intend to recommend her to friends and family, and to use her services again in the future. You guided us through the entire selling process like we were family. I would unquestionably retain his services if we ever decide to relocate, and I have recommended him to many friends and family members over the years. Buying and selling a home is one of the biggest events in your life. First time Home Buyers? Feel free to contact us today, either by email or phone. We are trusted professionals in the real estate industry with the knowledge and skills to assure an easy and less stressful real estate transaction. Let us use our expertise to get you off to a great start today! We give personal service to all of your home-buying or selling needs. List with us and your home has prominent positioning on the internet.